We provide all types of CCTV Camera Accessories with best in class quality. Being a customer focused organization, we are engaged in offeringBox Type Linear Output Power Supply for High Performance. 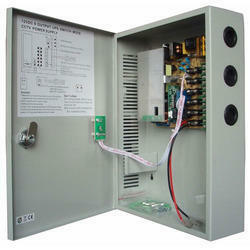 Single voltage power supplies deliver linear technology recommended by most manufacturers of sensitive electronic access control and security components. Safe for use with readers, electric strikes, and maglocks, these units interface to fire alarm systems and provide battery backup. The power supplies provide 12 VDC or 24 VDC output with a variety of amp sizes that support small or large power needs.Resistant to moisture, corrosion and vibration, our offered products are designed in accordance with international quality standards and norms. We also have expert quality controllers, who thoroughly check these products on various parameters to assure zero defect. 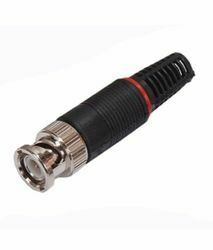 High-Quality Balun Allows You to Connect any Camera or DVR over CAT5 Ethernet Cable. 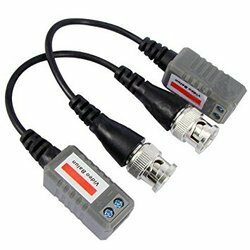 You can Use One Balun on Each end of Your CAT5 Cable to Allow Your Wire Run up to About 2,000 Feet to Transmit Your Video Signal From Your Surveillance Camera. This Allows You to Use a Less Expensive Twisted Pair Wire Instead of Coax/Siamese Cable for Your Security Cameras and Surveillance Systems. Looking for CCTV Camera Accessories ?